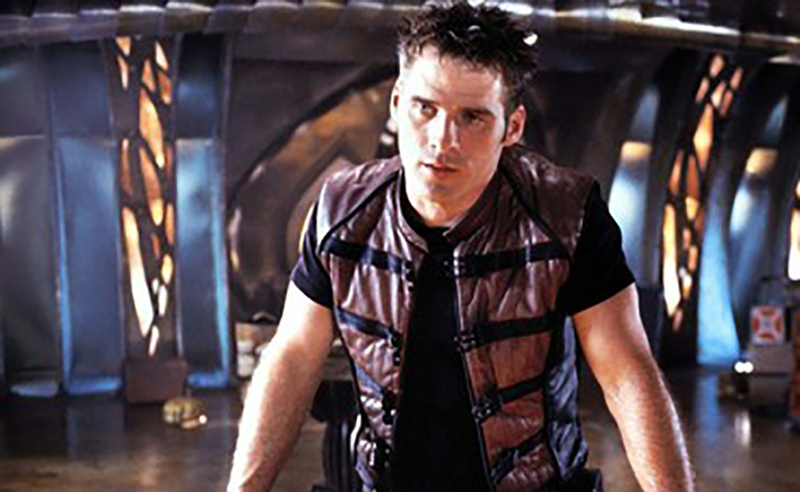 After being catapulted through a wormhole while on a test flight around Earth, astronaut John Crichton (Ben Browder) of the cult TV series Farscape finds himself in the middle of an alien spaceship battle on the other side of the galaxy. He eventually finds his way to Moya, a living spacecraft and home to an eccentric group of aliens. Together they seek both an end to the war and a way home for each of them, meeting various nemeses along the way. 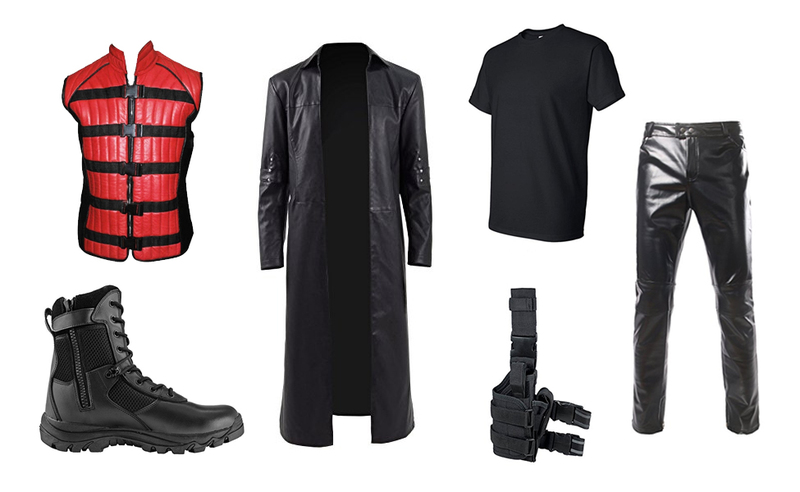 He dresses in a biker-like outfit with a long trench coat. 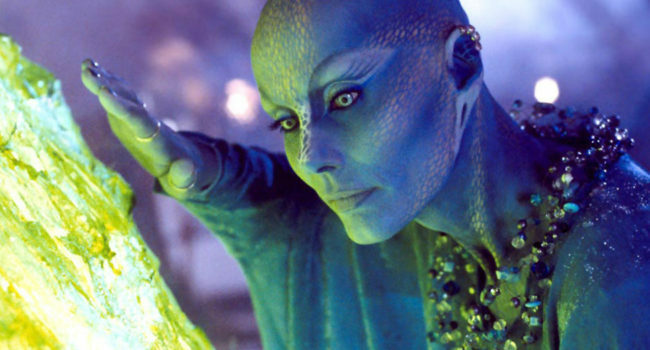 A member of the Delvian race, the wise and reasonable Zotoh Zhaan (Virginia Hey) is a 10th level, 800 hundred year old priest on the TV show Farscape. The Delvians evolved from plants, and so Zhaan has a special ability to heal with herbs that leads to her becoming the unofficial doctor of the rowdy Moya crew. A pacifist on the surface, she controls darker tendencies deep within her, occasionally allowing them to surface when the situation demands it. Her skin glows a beautiful blue with white markings and she dresses in shades of blue. A Sebacean by race and Peacekeeper by profession, Officer Aeryn Sun (Claudia Black) is a dedicated, skilled, highly dangerous soldier in the TV series Farscape. When human astronaut John Crichton hurtles through a wormhole into the middle of a Peacekeeper battle, she is excommunicated from the Peacekeepers and joins up with Crichton and a colorful host of other aliens on the living spacecraft Moya. As befitting her role of soldier and warrior, she dresses in all black.